Representatives of Signum University visited the New Hampshire Department of Education in 2018, as part of the school’s review and approval process. 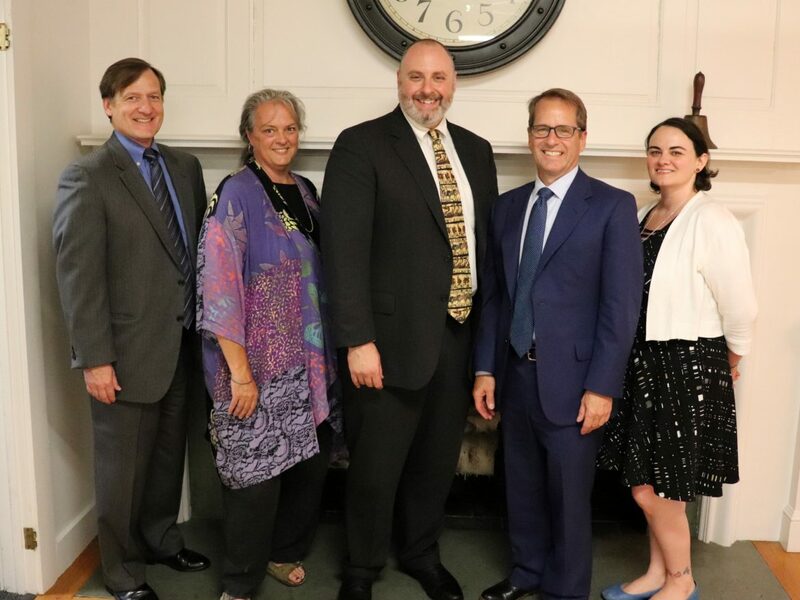 Pictured from left to right are: Michael Seidel, director of the Division of Educator Support and Higher Learning, Laurie Alden, classroom organizer and student support for Signum, Corey Olsen, president of Signum, Frank Edelblut, the commissioner of the NH DOE, and Jessica Robinson, student support and records for Signum.? CONCORD, NH – Signum University, an online only, nonprofit university focused on fantasy and sci-fi literature, has received approval from the Higher Education Commission to offer classes in the state of New Hampshire. Currently incorporated in Delaware, it is working with the New Hampshire Secretary of State to transfer its incorporation to the Granite State. The school offers a number of online courses focused on authors like poet Edgar Allan Poe, horror writer H.P. Lovecraft, as well as others like J.R.R. Tolkien (“The Hobbit” and “The Lord of the Rings”), and Sherlock Holmes creator, Sir Arthur Conan Doyle.